Embraer Phenom 100 Range: 1,178 nautical miles (nm) 1,356 statute miles (sm) or 2,182 kilometers (km) with 4 occupants at Long Range Cruise (LRC) and NBAA IFR fuel reserves. 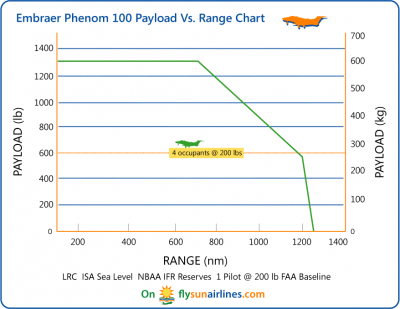 Sun Airlines has gathered the above data on the Embraer Phenom 100 Range from Embraer. 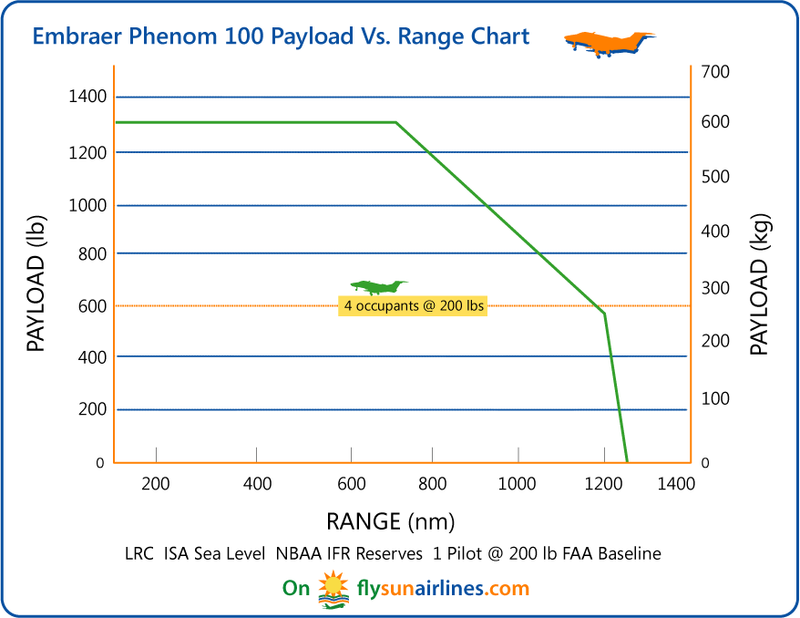 You can use the Embraer Phenom 100 Range Chart to figure out how much the Embraer Phenom 100 Range is for different Embraer Phenom 100 Payloads.